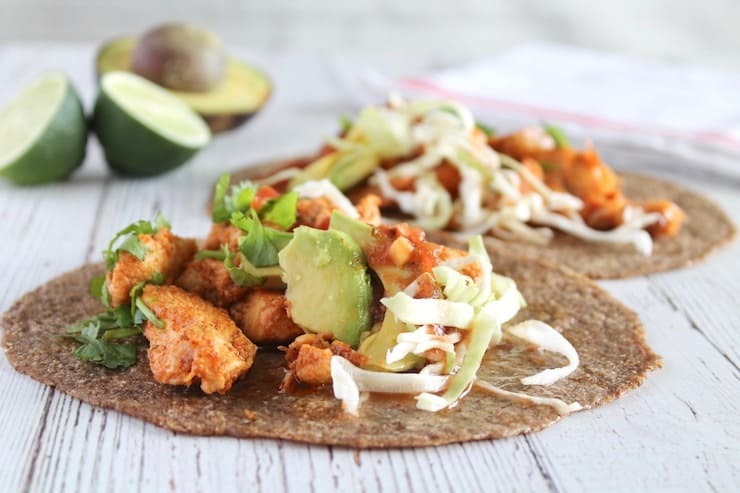 This chipotle lime keto vegan taco recipe is such a fun, healthy and easy meal. The smoky chili seasoning and the bright lime accent combine to create a delicious and quick paleo and vegetarian friendly dish. 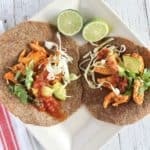 This Easy Chipotle Lime Keto Vegan Taco Recipe post sponsored by iHerb, but I only recommend products and services that I have personally tried and believe are of value to my readers. All opinions in this post are my own. One of my favorite types of cuisine is Mexican food. I love spicy chilis, limes, cilantro and all the flavors south of the border. But when you go paleo or on a low carb food plan, your options at Mexican restaurants are limited since there is a lot of high-carb corn tortillas, chips and beans. 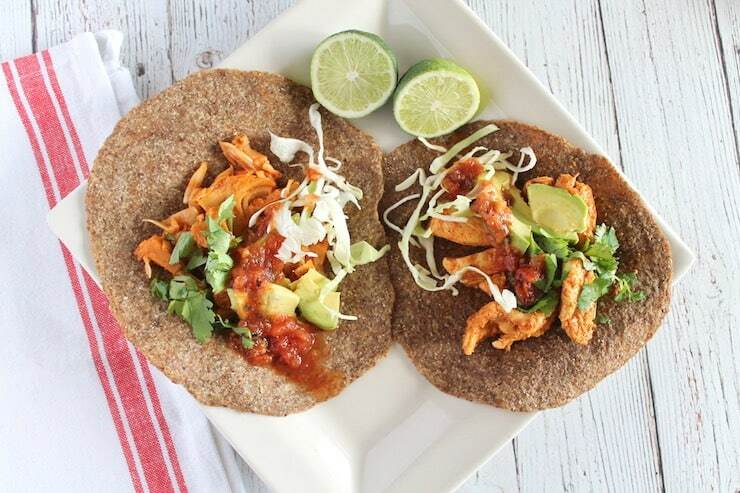 I love that there are so many keto, paleo and vegan options available on iHerb like the paleo tortillas I used and the vegan taco filling. Amazingly, I was able to create a taco that qualifies as both keto and vegan! I also created a special homemade smoky chipotle keto taco seasoning to go along with the recipe. 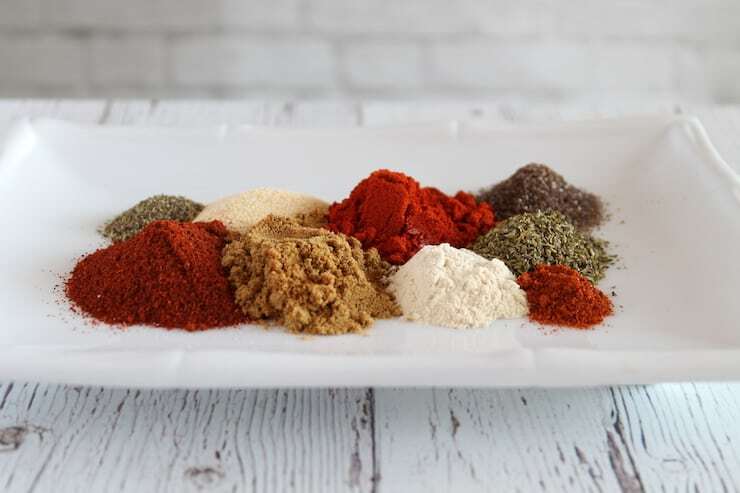 Many pre-made taco seasonings have added sugar and aren’t great for low carb diets…plus they often contain additives like MSG which isn’t good for anyone. 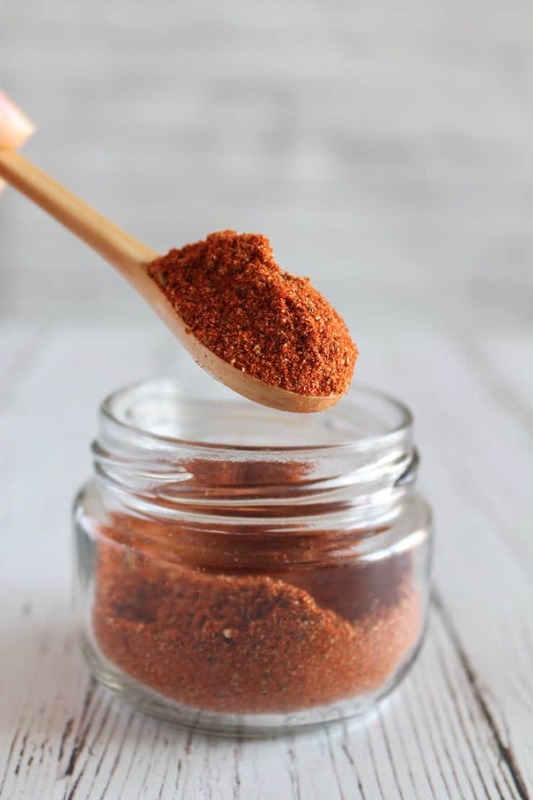 For this taco seasoning recipe I combined smoky chipotle, a pinch of cayenne, onion, smoked paprika, garlic, smoked sea salt and a few other things to make this a rich smoky seasoning without being too spicy (it’s quite mild, but still has a great flavor). You can use it in marinades, sprinkle it on ground beef, fish, chicken or even use it as a dry rub. I was so excited to try these Jackfruit carnitas. I’ve heard about jackfruit from some of my vegan friends and I’ve been wanting to try it. Jackfruit is native to India and can take on the flavor of whatever you use to season it with which is why it’s great for tacos. It’s so rare to find a meat substitute that is soy-free and also paleo-friendly. Since this is just fruit and seasonings, it’s good for everyone! The Uptons brand has been seasoned with onions, garlic and spices to make it taste a lot like carnitas. I love that the Upton’s brand is also low carb and keto-friendly. There is only 3 net carbs per serving! To be totally honest, I was a little skeptical to try this once I cooked it. I thought there was no way that a fruit could taste like taco filling, but as soon as I took a bite I was pleasantly surprised. It totally tastes like yummy spicy taco filling! These wraps or tortillas from Julian Bakery are a new formulation that I’ve been wanting to check out. These are also low carb so they are a great easy tortilla option for keto dieters. I love the earthy flavor and that it’s strong enough, yet pliable enough to hold plenty of taco filling. These are also great for turkey wraps, tuna wraps or quesadillas! Coconut oil is always an excellent healthy cooking oil choice especially for vegan cuisine. I usually opt for virgin cold-pressed coconut oil without any chemical solvents like hexane. The California Gold Nutrition brand is the perfect choice to check all those boxes. It does have a slight coconutty flavor raw, but I find that you can’t taste it once you cook something like spicy chili chicken or jackfruit with it. I didn’t notice any coconut flavor in my taco. If you are sensitive to the flavor you can also go for refined coconut oil since it doesn’t have the coconut flavor. I almost always opt for California Olive Oil because I know it’s legit. If you haven’t heard, there has been a scandal that many imported Italian olive oils have been adulterated with cheap unhealthy oils like canola oil and are still labelled as pure olive oils. The California Olive Ranch brand also carries the COOC stamp regulated by California to ensure that it’s pure. I loved the sound of this salsa and thought it would go perfectly with these tacos. I love that the tomatoes are roasted to bring out a strong smoky flavor just like the seasoning. This smoky chipotle keto taco seasoning is bursting with chili flavor. It’s smoky and mildly spicy with smoked paprika, smoked sea salt and just a touch of cayenne. 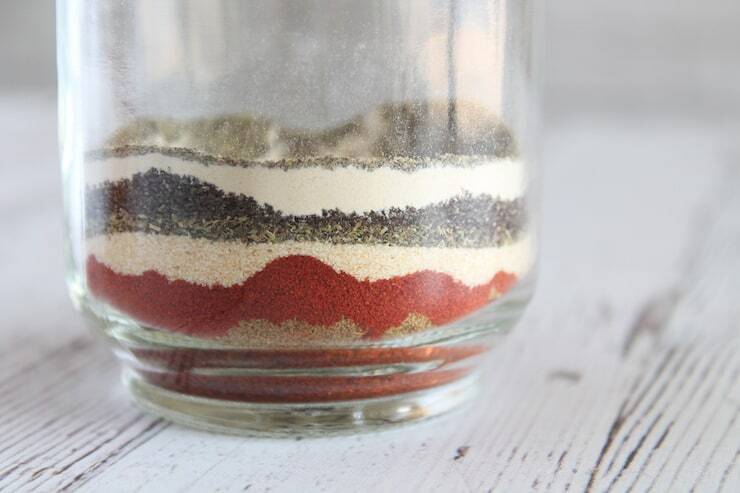 I decided to make a homemade taco seasoning because many pre-made store-bought taco seasonings have added sugar or unhealthy additives like MSG or preservatives. I wanted to make this one smoky and not-too spicy so I used quite a bit of chipotle along with smoked paprika, smoked sea salt and just a little bit of cayenne (not too much!). I mostly used the Gustus Vitae Spices and a couple other brands to make this keto taco seasoning. 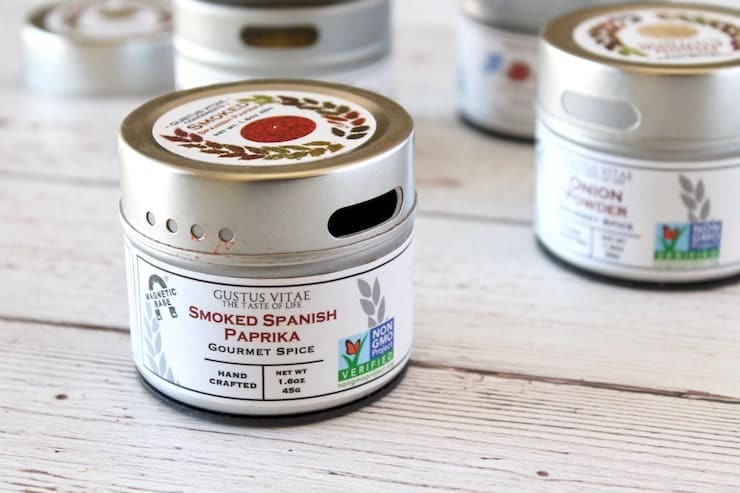 I had never tried Gustus Vitae Seasonings and oh my goodness, I LOVE them! As a home cook who is always fumbling in the spice drawer, I love that these containers are super easy to deal with. They have magnets on them so you can stick them on the refrigerator. Plus they have 2 openings: one with small holes for sprinkling and one big hole for measuring. You can also just take the top off easily to scoop out a spoonful. Honestly, I hate taking the little plastic cover thing off of regular spice bottles…I know it’s a small thing, but it really annoys me! You have to dig your fingernail under the top to pop it off and I always get spices under my nails! These little containers make it so much easier. 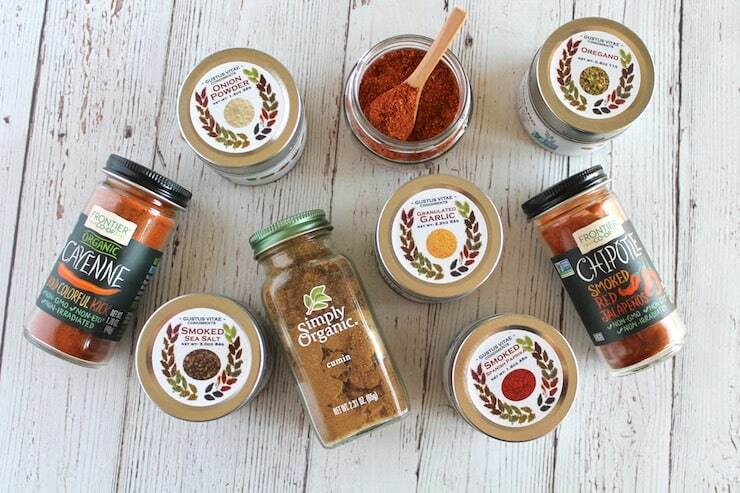 These spices are also really rich and flavorful. The Smoked Sea Salt tastes amazing and easily adds that smoky flavor to any dish. The Spanish Smoked Paprika adds so much more depth than my regular bargain paprika. Also, they are small-batch, sustainably sourced, hand packed and non-GMO…music to my ears! Anyway, I’m loving these Gustus Vitae Seasonings and I think I’ll buy more! Normally I wouldn’t think of a fruit as being keto because fruits usually have lots of carbs and a keto diet is very low carb. However, when I looked at the nutrition facts for the Upton’s Naturals Chili Lime Jackfruit Carnitas I was pleasantly surprised to find that one serving only has 3 net carbs! 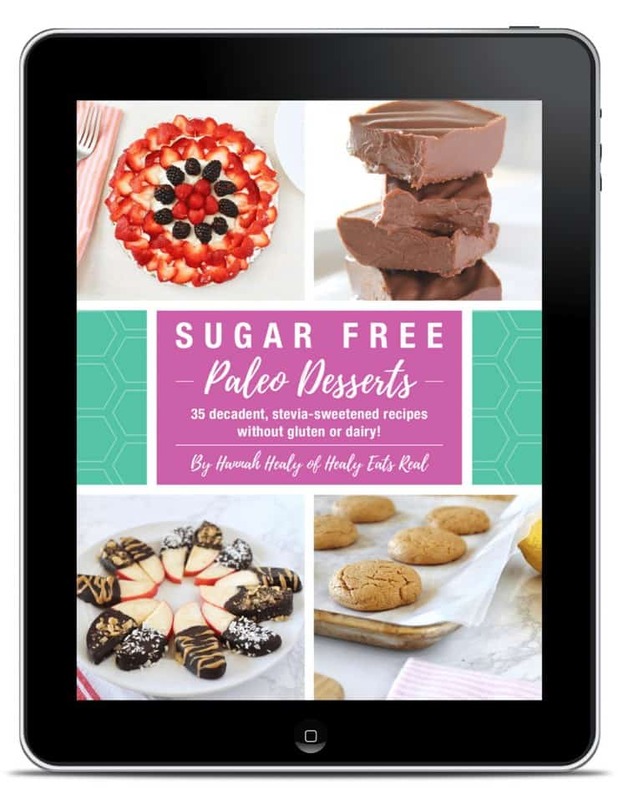 Perfect for keto vegan recipes! So if you’re keto, feel free to try these jackfruit carnitas in your taco! You can also swap it out for chicken if you prefer. I’ve included instructions for chicken tacos as well. Get A Discount On Your Keto Vegan Recipe Supplies from iHerb! 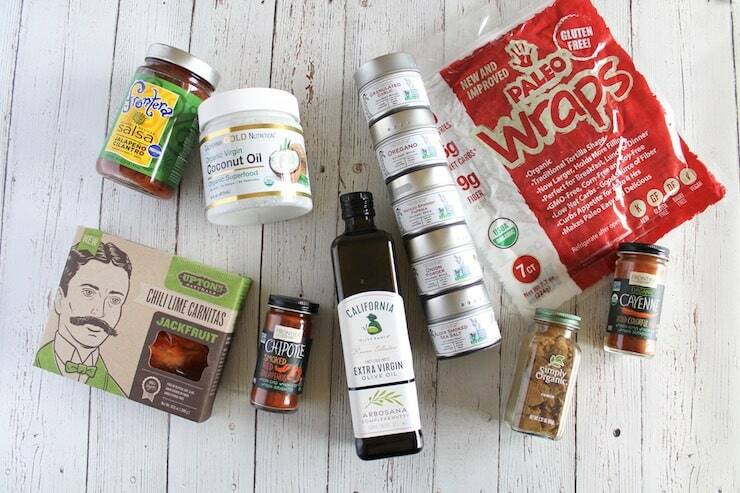 I often get my paleo/keto foods and natural health supplies from iHerb. 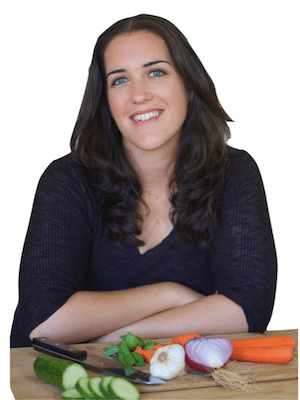 They have a huge selection of specialty foods, paleo baking supplies and holistic supplements. iHerb carries over 5,000 grocery products that can be shipped to over 160 countries. Plus their customer srvice team also provides support in 10 languages. Almost all of the ingredients used in this vegan keto taco recipe is available on iHerb! Click here to get a discount on your first iHerb order! Gather all of your spices and put them in a jar. Shake or stir the jar to combine all the spices. Store in a jar with an airtight seal and use for dry rub, marinades or to sprinkle over sautéed meats. 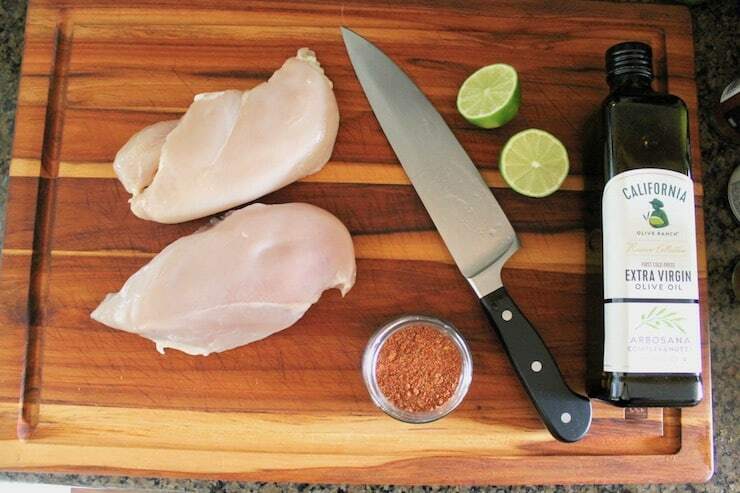 If you’re working with chicken, gather your marinade ingredients and chop up the chicken into small strips. 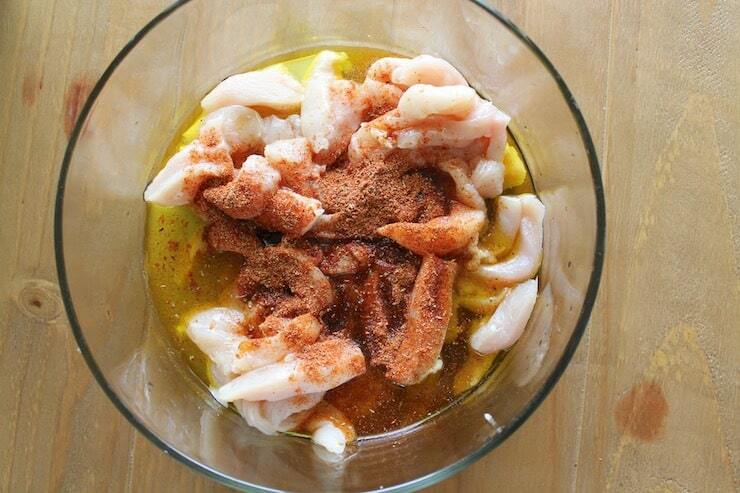 Place the chicken and all of the marinade ingredients into a tupperware container or sealed bag. Store in the refrigerator overnight. After the chicken has marinated, heat the coconut oil in a pan on medium heat. Cook the chicken for 7-10 minutes, stirring occasionally or until it has cooked through. If you’re opting for the vegan jackfruit filling, all you have to do is heat coconut oil in the skillet on medium heat. Remove the jackfruit from the package and cook for a few minutes until it has heated up. Now all that’s left to do is assemble your keto tacos! 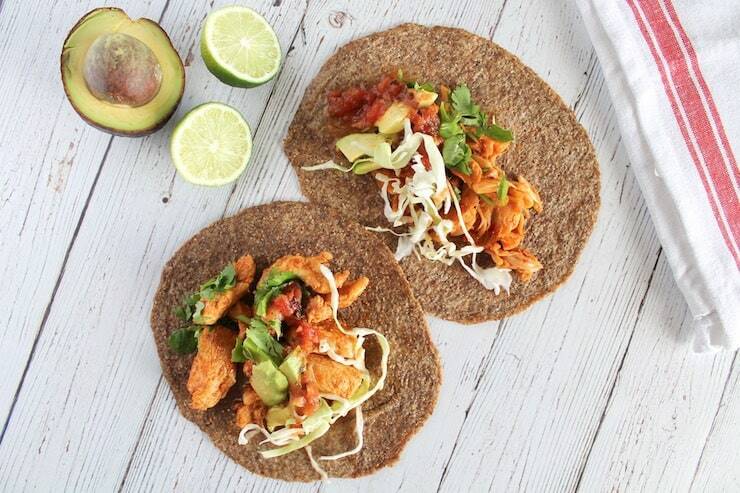 Warm up your paleo wraps in a skillet, then place your chicken or jackfruit inside and any addition toppings that you want (guacamole, salsa, cabbage, cilantro, etc.). Enjoy! Did you like Easy Chipotle Lime Keto Vegan Taco Recipe? Don’t forget to rate the recipe and leave me a comment below. You can also follow me on Facebook, Instagram, Pinterest! Place all of the spices in an airtight jar and shake to mix. Use in marinades, sprinkle over ground beef or use as a dry rub. Store in the cabinet for later use. You can marinate the chicken for a richer flavor, but if you don't have time to marinate, you slice the chicken into strips, then use the taco seasoning as a dry rub for the chicken breast and pan fry it with coconut oil. To marinate the chicken, slice 2 boneless skinless chicken breasts into small strips and place into a bowl or tupperware container. Refrigerate for at least 2 hours or overnight. 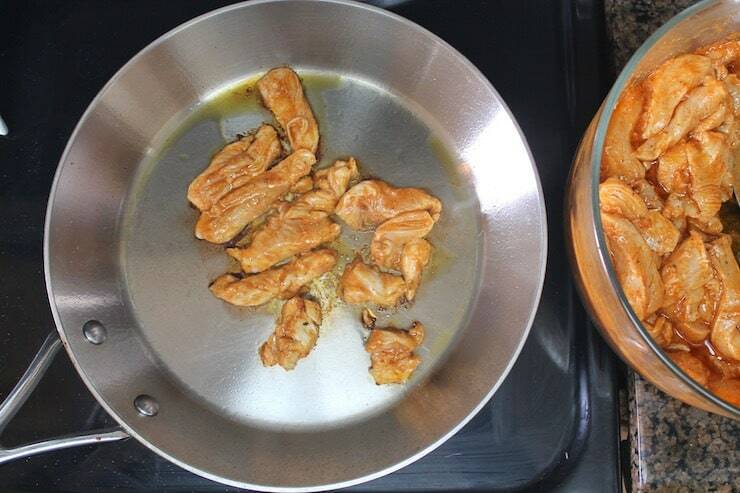 Add 1 tbsp of coconut oil to a pan on medium heat then add the chicken strips. Allow them to cook through (about 7-10 minutes). 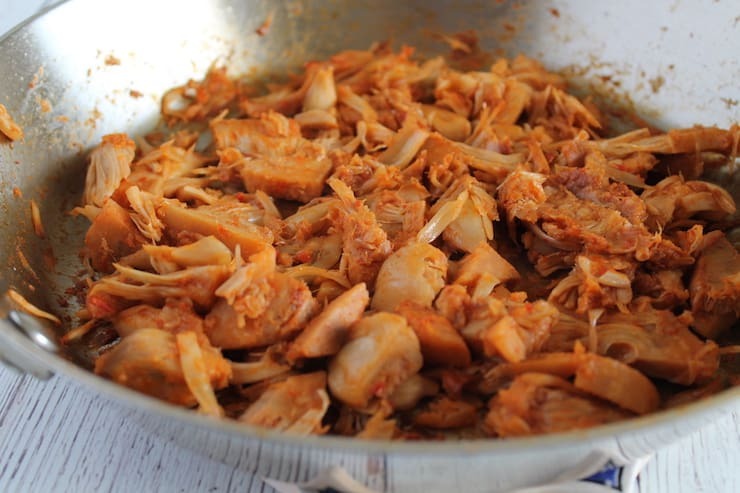 Since the upton natural brand has already pre-marinated the jackfruit, all you have to do is cook it! 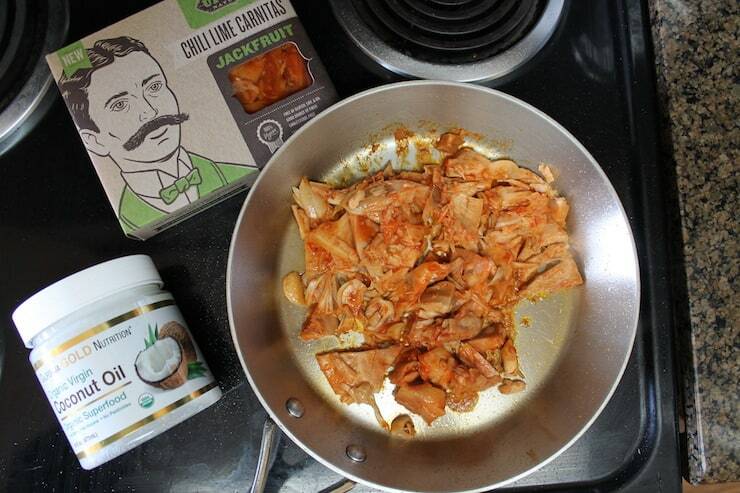 Add 1 tbsp of coconut oil to a pan on medium heat, then add the entire contents of the jackfruit package into the pan. Cook just enough to heat it evenly (about 5-10 minutes). Heat up the tortillas by placing 1-2 at a time on a skillet on medium heat for about 30-60 seconds on each side. 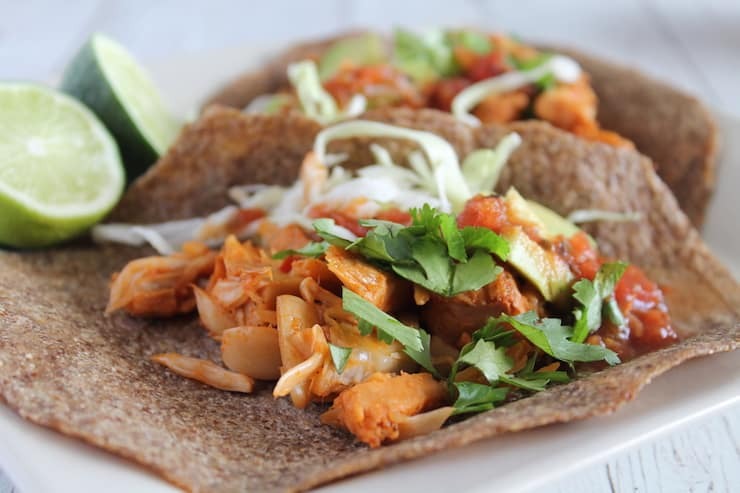 Place some of the chicken or jackfruit on the tortilla (or both! they are both low-carb!). Then top with your preferred toppings such as guacamole, salsa, cilantro, cabbage, lettuce or onions. Enjoy! Nutrition Facts below are for 1 Taco using Upton Naturals Chili Lime Jackfruit Carnitas with guacamole, cabbage and cilantro. This comes out to about 8 net carbs per taco. 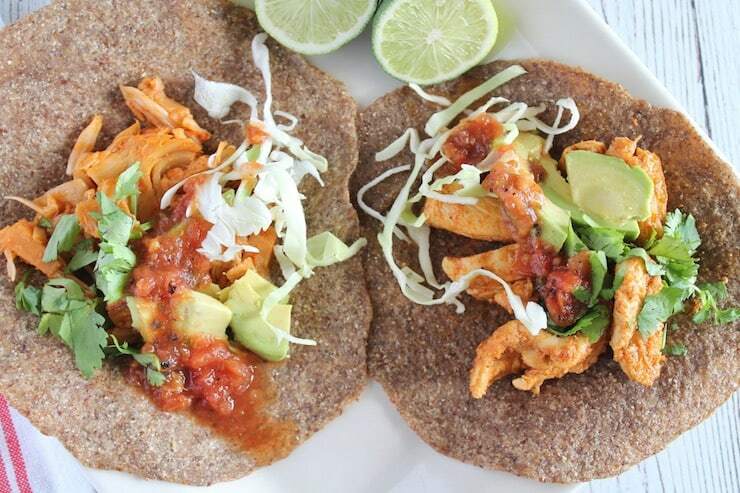 If using chicken instead of jackfruit for the filling along with cabbage and cilantro, each taco will have about 6 net carbs. Wow! I love all the different spiced that you used in these tacos! I am exploring keto recipes and this one sounds delicious! I am really on this keto diet and its great! This is the perfect addition to everything else I have been making! Keto Vegan tacos? Count me in! This recipe has so many yummy flavors that I know my family wouldn’t even miss the meat! So many great flavors here! 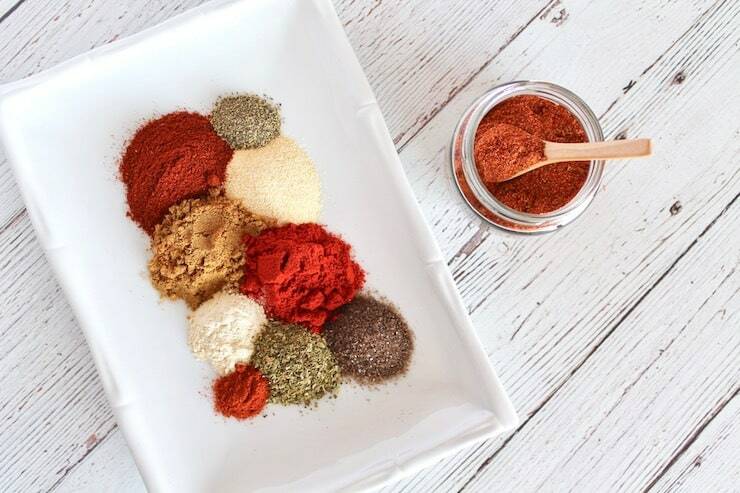 I love making my own taco seasoning, too, it’s such a game-changer when you feel good about using products like that, and have them just stored in your pantry, so it’s every bit as convenient as a packaged item! This recipe sounds fantastic! Thanks so much for including us; glad you are like our products as much as we do. We will definitely be making these on our next taco night… which is, if I’m honest, at least twice a week! 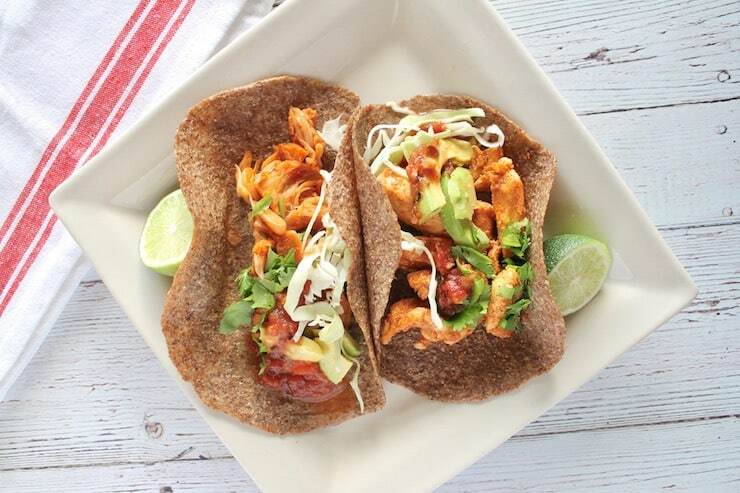 Thanks for the inspiration and introducing us to these new products especially the paleo wraps. The jack fruit looks so delicious and a great vegan option.